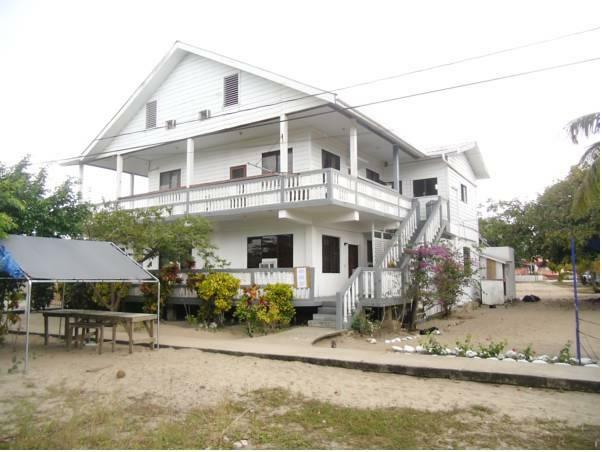 ﻿ Best Price on Serenade Hotel in Placencia + Reviews! The quaint and colorful Serenade Hotel is located just 131 feet from Placencia Point Beach and features free WiFi throughout. Breakfast is available on request. Serenade Hotel also offers complimentary parking. Each comfortable room at this property comes with a TV with cable channels and a private bathroom with free toiletries. The spacious suites feature a refrigerator, seating area and coffee maker. There are several excellent dining options within 656 feet from the hotel, which is conveniently located over the main walking boulevard of the town. Serenade Hotel can help guests arrange a range of outdoor activities and the surrounding coast offers excellent scuba diving and snorkeling. There is a small handi-crafts market outside this hotel. Placencia Airport is a 5-minute drive from the hotel.